The bane of “racial proportionality,” which in many ways personified the Obama administration, continues to burden school districts across the country. Over the last decade, school officials have loosened the “discipline grip,” so to speak, out of fear their schools’ racial percentages may not be viewed as “correct” by government bureaucrats. Ironically, it’s that very reliable Democratic voting bloc — teachers — which have borne the brunt of this slackening, which no doubt explains why even they frowned upon the previous Department of Education’s race-based “discipline” measures. Take a recent story from Harrisburg, Pennsylvania: City schools have lost almost four dozen teachers since July due to what they deem as “an unprecedented level of misbehavior among children” . . . So whenever a student misbehaves the teachers must clairvoyantly know the racial discipline ratios to date for their school and/or district to know if they can punish the student. And you can imagine how quickly the students will pick up on that. If they know the minority quotas have been achieved then they can do almost anything without getting punished. Maybe the teachers will reconsider their political views. The elites don’t care if teachers suffer as long as they prop up the charade that disparate outcomes are always driven by discrimination. And what about the poor students who can be victimized at will by those who aren’t permitted to be punished? Hopefully their parents will protect them by home schooling or at least protesting — and voting for true conservatives! And this would be a good time to remind the elites of the one set of disparate outcomes that they ignore: Blacks are aborted at three times the rate of whites and Hispanics at twice the rate. Why not oppose abortion because of that? This is one of the many reasons we should eliminate the Department of Education to save money and improve schools. Polices like this are transparently ridiculous and, ironically, racist at their core. Parents should know that if their children chronically misbehave then the rest of us are under no obligation to fund their education. Criticizing Islam cannot be forgiven, no matter how many times you have denounced Christianity. Ever since 9/11, Islam has been sacred to liberals; it becomes more sacred with each new terrorist atrocity against the West. Muslims have achieved the coveted status of the marginalized. Got that? Just call anything you disagree with “abusive speech” while claiming that you still support free speech. No need to debate any contrary ideas! One good thing about Leftist movements is that they inevitably start to attack each other (also see radical feminists objecting to “trans” men joining them). Another good thing is that their extremism sometimes wakes people up to the reality of the movement they are in. Hopefully some of the Dawkins fans will rethink their worldview. Spending $300 on a textbook for most classes is an absolute joke. It is a racket driven by the sellers, of course, and the schools who have no interest in reducing costs and by professors who sell their own books with meaningless updates made to force new purchases. But how many updates are necessary, for example, for most math classes up to and including calculus? And do we really need a new book on Shakespeare in the English department? Very, very few classes in the first 2-3 years of college would ever need updates. And why have paper copies of anything? Gee, what could go wrong with race-based discipline limits? Only foolish Leftists could think this was a good idea: Require that school discipline rates be equal by race. Aside from the impossibly complex and superfluous bureaucracy of sorting, weighting and tracking offenses this way* it will only take about 15 seconds for kids to figure out that once their race’s limit race been reached then they can do whatever they like. Here’s one kid who knew his “rights,” via Teachers Oppose Obama’s Race-Based School Discipline Dictates. Great incentive to make people want to go teach, eh? And that was a fourth-grader. Use your imagination on what high school kids will do. And what a disservice to the children who will grow up thinking they can do whatever they like without consequences. And make no mistake: Leftists assume that racial disparities in crime rates must be because of racism**, so soon they’ll want to have limits on how many people of preferred races you can arrest for theft, assault, murder, etc. *Does a mixed race kid’s offenses get split into two categories? How do you classify Rachel Dolezal’s offenses – black or white?, etc. **Because it can’t be because of the actual crimes committed and definitely can’t be from the extremely well-documented, Leftist driven impact of single motherhood. The government is a monopoly. Therefore, the government is inherently inefficient. It should be limited. Now, in light of those truths, is it any surprise that government run schools fail to teach that? Is it any wonder that the “Christian” Left looks to government to solve all our problems? Never forget that Leftists literally fail at basic economics. 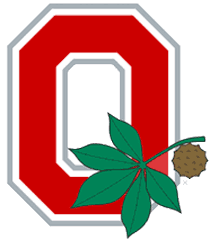 In other news, every kid who is a fan of the national champion Ohio State Buckeyes just got expelled. The student, the 11-year-old son of two school teachers, had to enroll in the district’s alternative education program and be homeschooled. He was evaluated by a psychiatrist for substance abuse problems, and charged with marijuana possession in juvenile court. In the months since September, he’s become withdrawn, depressed, and he suffers from panic attacks. He is worried his life is over, according to his mother, and that he will never get into college. The only problem? The “leaf” found in the student’s backpack wasn’t what authorities thought it was — it tested negative for marijuana three separate times. All of this is laid out in detail by Dan Casey in a column in the Roanoke Times today. While the juvenile court dropped its case against the student after the tests turned up negative, the school system, in a community located midway between Roanoke and Lynchburg, has been far less forgiving. That’s because stringent anti-drug policies in school districts in Virginia and elsewhere consider “imitation” drugs to be identical to real ones for disciplinary purposes. The school’s lawyer, Jim Guynn, is quoted in the Roanoke Times article defending the policy on the basis that “it’s a pretty standard policy across the Commonwealth.” In 2011, for instance, four seventh-graders in Chesapeake, Virginia were suspended over bringing a bag of oregano to school. A quick Google search suggests similar policies are in effect in many other states as well. It doesn’t matter if your son or daughter brings a real pot leaf to school, or if he brings something that looks like a pot leaf — okra, tomato, maple, buckeye, etc. If your kid calls it marijuana as a joke, or if another kid thinks it might be marijuana, that’s grounds for expulsion. One more reason to home school. The paranoid zero tolerance rigidity of the public schools is making things worse than ever. 1. It is a perverse worldview-shaping program driven by the Left and being forced on public school students (and soon to be all students, if they get their wishes, because the Left hates home schooling). 2. It is another example of why we don’t need the Federal Government involved in education. This “optional” program is typical of how the Feds operate: They take the money of citizens by force then “give” it back if you participate in their “optional” programs like this. But if you don’t participate you get nothing. No compulsion there, right? So what is the Common Core? Via A Monstrous Story for a Monstrous Curriculum: The Ugly Heart of Common Core. All of that sounds like something that makes NO connection whatsoever to most parents or teachers or American citizens as to why they should fight this curriculum. Here’s an example of the morality it contains. If you’ve followed the Common Core at all you know that this is one of countless examples. You could write about it all day, every day. Here, I am going to provide you with a concrete example that shows the ugly heart of the Common Core. There is something deeply dark and offensive in this lesson created to support Common Core. It is a lesson designed to corrupt essential human decency. To judge these women as demonstrating their INDIVIDUALITY in the face of outside pressure is absurd and defies human decency. It is like insisting Jeffery Dahmer was expressing his individuality through cannibalistic murder. Additionally, it is not a major leap to conclude that if deforming your children in order to express your own individuality is acceptable, then killing your children to protect your individuality (or selfish inhumanity) is perfectly fine too. This is obviously a pro-abortion message. This story paired with this assignment is a repulsive perversion of the concept of “lesson”; it is a corruption of anything descent and good. There is something deeply repulsive in this lesson, especially as it is aimed at students as young as 13. I have been told that I must teach this module. I can make some adjustments, but not too many. I am struggling to find a way to NOT perpetuate the ugliness found here. I am certainly NOT going to teach this story, though I may find myself in trouble with the system as a result. Some things are worth refusing to do even if there is a cost. This is what is going on in our schools. This is what you need to see with open eyes. They are doing more than trying to increase rigor; they are indoctrinating our children into one way of thinking—their way! Schools should teach how to think, but never what to think. This is why we must fight what some are trying to sell us as “hope and change” to America. Here’s an even more thorough take down of Common Core.